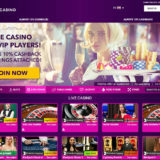 Codeta is one of the Live Casinos on livecasinocomparer that is going from strength to strength. They are not sitting on their laurels hoping that players will just come to their site. They are trying to do something different and I applaud that. They are part of a small band of casinos that are really pushing live casino forward, which can only be good news for us. They’ve added Live Casino games from Luckystreak and Betgames to their existing supplier list of Netent, Evolution and Authentic gaming. A total of 5 providers, all of which offer something different the player. Players from France, United Kingdom, United States Minor Outlying Islands, United States, Korea North & South, Denmark, Netherlands, Netherlands Antilles won’t be able to play at Luckystreak. Players from Denmark, UK, Netherlands, Netherlands Antilles won’t be able to play the live games from BetGames. 2nd May 2017 – Stockholm: Live casino pioneer Codeta.com has bolstered its product portfolio with games from LuckyStreak and BetGames as it continues to offer the best live dealer experience on the market. 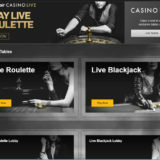 Players on Codeta.com now have access to LuckyStreak’s live roulette, blackjack and baccarat games, which feature innovative gamification and statistics tools, as well as the supplier’s suite of proprietary RNG and slots. 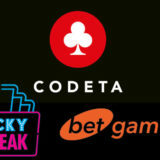 Codeta’s game offering has been further enhanced by seven new live games from BetGames, including Dice, Lucky 5, Bet on Poker, Bet on Baccarat, Wheel of Fortune, War of Bets and Lucky Seven. LuckyStreak and BetGames’ content is delivered to Codeta.com via the EveryMatrix platform, which powers its award-winning live dealer proposition. It’s other live tables games come from the likes of NetEnt, Evolution Gaming and Microgaming. “We are thrilled to have access to exciting and innovative new content from LuckyStreak and BetGames via the EveryMatrix platform. Our portfolio really is firing on all cylinders now, offering players a wide variety of quality games. 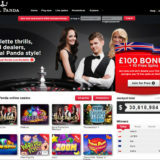 The news comes shortly after Codeta completely redesigned its logo and website to better represent its position as the market leader in live casino games, and to make the UX even more seamless, smooth and intuitive. 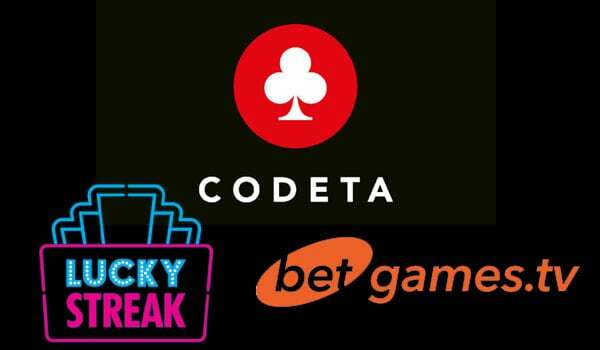 Codeta has carved out a name for itself as a pioneer and leader in live table games but also has a selection of other table games and slots from NetEnt, Play’N’Go, Aristocrat, Novomatic NYX, Microgaming and others. The site is available on desktop and has also been optimised for play on mobile and tablet devices, both Android and iOS.